Yes, you can play slots online using bitcoin, and this cryptocurrency has changed the online world forever. The bitcoin revolution provided players around the globe with the option to pursue their passion for online slots as many online casinos opened the opportunities to enjoy online casino gaming to thousands or even millions of people, previously not able to enjoy this type of entertainment. What are the advantages or disadvantages of playing online with bitcoin? The advantages or disadvantages of playing online with bitcoin is that this option only becomes a sensible decision once prospective users have all the information. The list of advantages includes that the bitcoin currency offers complete anonymity even, or especially in financial transactions, by using the currency your private life is removed from prying eyes, which is probably, the biggest advantage. What also hugely count in Bitcoin’s favour is the fact that fees are low and affordable by most, due to the fact that no third party is involved. Should you decide to use bitcoin all limits disappear since the cryptocurrency enables users to transfer as much as they wish. A great benefit for online casino players is that should the casino not accommodate your currency, bitcoin is the perfect option. Bitcoin transactions are instant whether you withdraw or deposit cash since again there is no third-party part of the process. Since online gambling is not legal in all countries, Bitcoin became the first payment method that allowed anyone in the world to enjoy play at international online casinos. The disadvantages of using bitcoin are that the value is susceptible, and users need to keep track of the price of their cryptocurrency. The only other disadvantage is cyber-attacks, hackers are part of all online dealings and transaction, although it is the bitcoin wallet that might be in jeopardy, not the currency itself. Which are the Bitcoin slots worth trying? 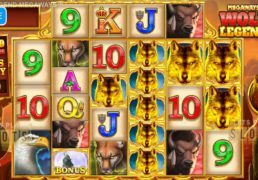 There are plenty of bitcoin slots well worth trying and these include class 3-reel as well as multiple payline slots offering a variety of bonus features and then there are also progressive jackpots. There are fewer bitcoin slots compared to the thousands of online slots available at traditional online operators, although new slots are released constantly. By 2017 there were less than 50 bitcoin slots of which the first was Santoshi’s Secret based on the mysterious Satoshi Nakamoto at the time believed to the founder of the bitcoin currency. Satoshi’s Secret is a 6-reel video slot offering 20 paylines and players can enjoy a maximum payout of 5,000, while bonus features include wilds, free spins, and scatters. All bitcoin slots are created by Endorphina is known for titles such as Cuckoo, Jetsetter, Chimney Sweep and Diamond Vapor.